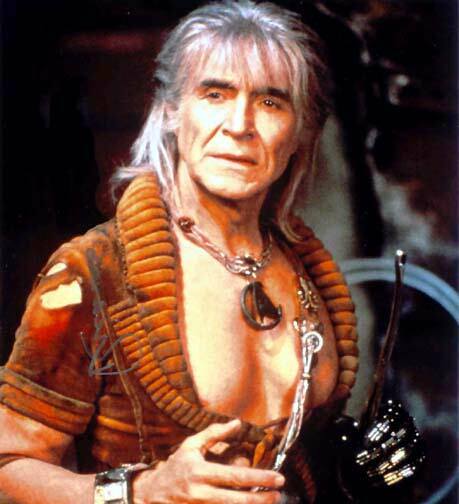 Khan Noonien Singh - The best enemy that James T. Kirk had !! "Ah, Kirk, my old friend, do you know the Klingon proverb that tells us revenge is a dish best served cold? It is very cold...in space"
"I'll chase him 'round the moons of Nibia and 'round the Antares maelstrom and 'round perdition's flame before I give him up!" He was a very good Mexican Actor !! Congrats 2 the kid, hope everythings going great. I know you took a time out, but wanted to ask if you ever plan to realse ziphone with IMEI masker for the 3G phone?